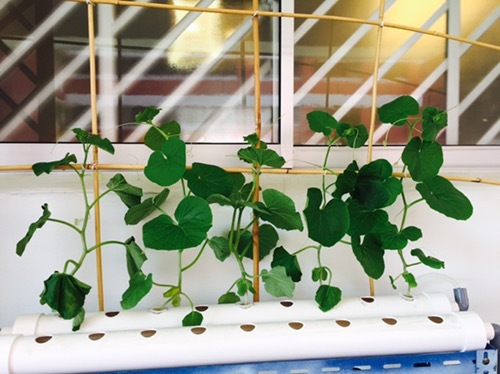 As my hydroponics setup is along the balcony ledge, the melons are getting too big for the system. Also, they are getting twiny and looking for places to climb. 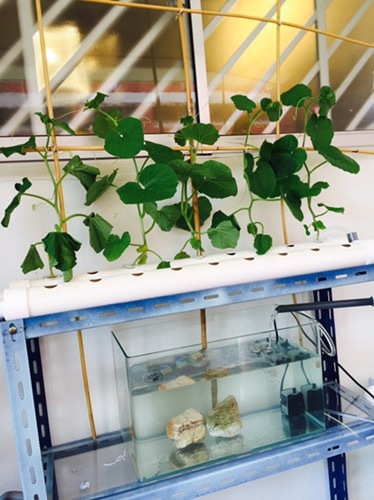 Hence I began finding a better way to set them in place and also set up vines for them to climb for support. 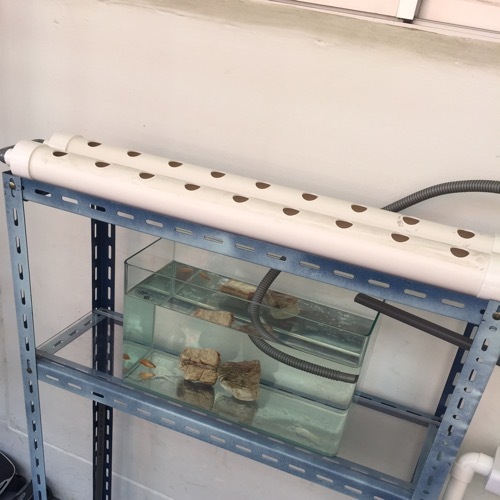 I made a metal shelving support and tested with the first 2 rows of hydroponic pipes. Below them is a fish tank and I hope to use the water for the running of nutrients for the plants. Building an ecosystem and being self sufficient is the utmost goal of this whole project. Of course, rearing edible fish would be good but that would mean a very big fish pond that I would need. 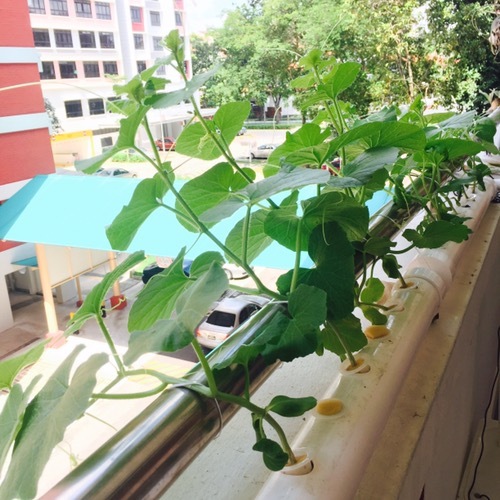 This is the original setup for my melon plants on the balcony ledge. This is how it looks after I have set up. The bamboo poles were bought in Malaysia when I chanced upon them. They were attached to the metal stands as support and crossed.